The Bible states the First Commandment as, “I am the Lord your God, who brought you out of the land of Egypt, out of the land of slavery. 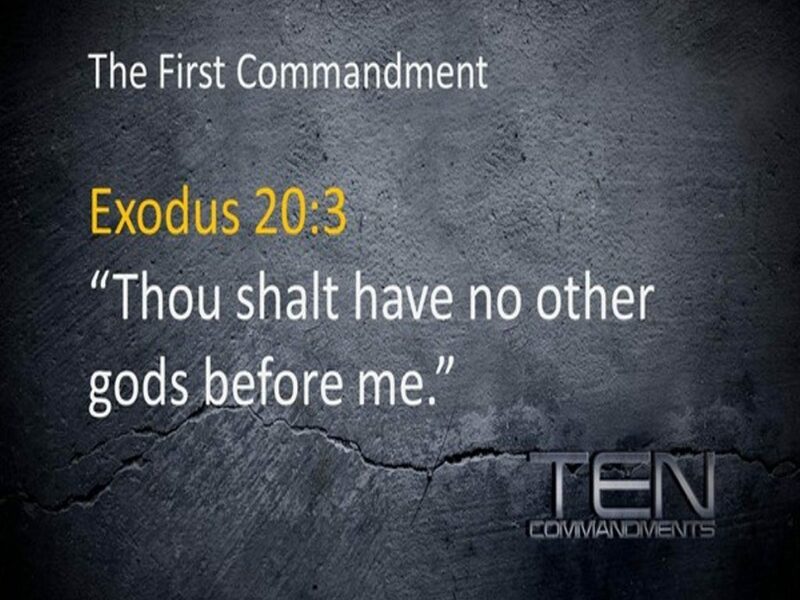 You shall have no other gods besides Me.” (Exodus 20:2-3) This is the God of Moses (peace be upon him). It was He who sent Jesus as His servant and Messenger, and not as a god to be worshipped. 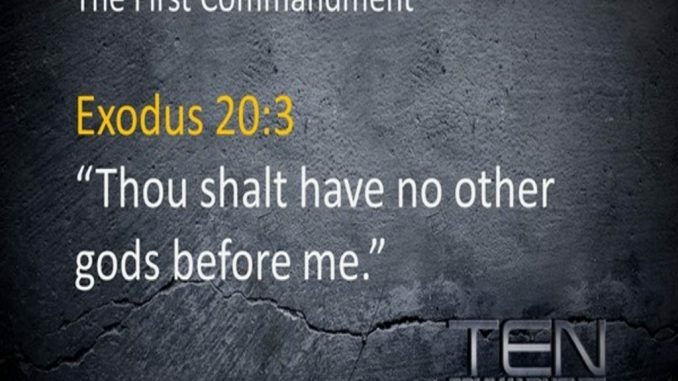 In the New Testament, the First Commandment is reiterated: “Jesus declared, ‘Love the Lord your God with all your heart and with all your soul and with all your mind.’ This is the first and greatest commandment.” (Matthew 22:37-38) So Jesus (peace be upon himself) confirms the Lord of Moses, who is the True God worthy of worship and love. As Muslims, we believe that Angels are actually a physical creation, but nevertheless, Islam forbids making images and statues of Prophets, Angels or any of God’s creatures that have a soul whether human or beast. Christians seem to have no such qualms. They make images of Prophets, Angels and God yet they have never seen them. Furthermore, they were forbidden from making such depictions in Scripture. What is baffling is that they make statues and images on pure guess-work and conjecture since they do not know what Mary (may God be pleased with her) looked like, nor Jesus Christ or the Disciples (let alone God), yet they make image after image and statue upon statue from their whims. Each country, even each township has its own depictions. In some countries, Jesus is portrayed and drawn as a white European with blonde hair, whilst in others, he is portrayed as being a black African with tight curly hair. If this is not idolatry, then what is idolatry?! Many Christian scholars affirmed that the true God to be worshipped is the God of all of the Prophets, the sole Lord of creation, yet Satan deceived the Christians and they fell into polytheism by worshipping Jesus and his mother in the form of statues, portraits and the cross or by simply deifying them in their hearts and minds. The Bible states, “You shall not make for yourselves idols, nor shall you set up for yourselves an image or a sacred pillar, nor shall you place a figured stone in your land to bow down to it, for I am the Lord your God.” (Leviticus 26:1) How many places across the world do we see stone images of Mary with baby Jesus in her arms, or statues of Christ himself in churches and elsewhere– some stretching metres high and others small figurines. You see thousands of Christians gathering and prostrating to these images and statues of stone. This is the idolatry that is forbidden in scripture and sound intellect, that nullifies their claim to monotheism. John Calvin, Harmony of the Law: Part 1, The Law: The First Commandment.